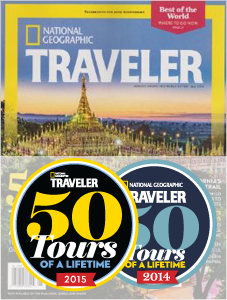 Kyoto's 1,600 Buddhist temples and 400 Shinto shrines are not solely responsible for the city’s year-round allure. Kyoto tours will have you learning about Zen Buddhism while sipping matcha during a chanoyu (tea ceremony) and browsing the mile-long Nishiki food market for ingredients to cook in the kitchen of a traditional machiya (wooden town house). 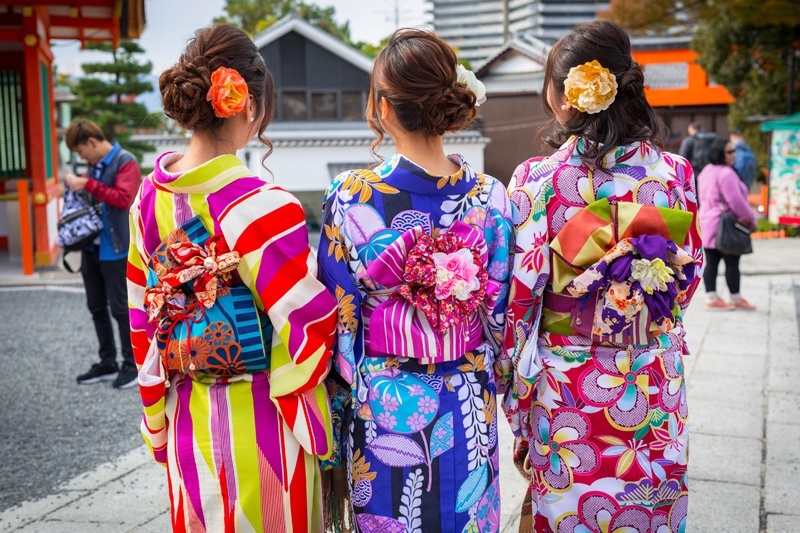 You can try sake tasting, calligraphy, martial arts, or roketsu (wax-resist) dyeing, and each season offers a unique bouquet of matsuri (local festivals) to top it all off. Spring in Kyoto is beautiful. Plum trees bloom during the cool calmness between mid-February and mid-March. 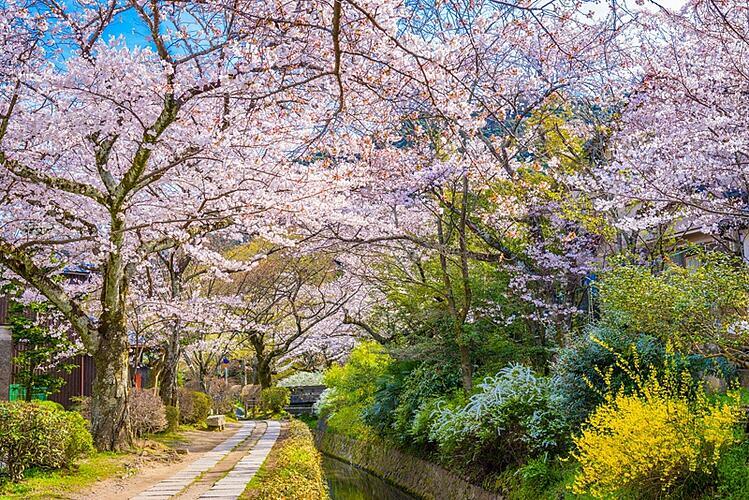 Then, the sun comes out and visitors flock to the city for hanami (flower viewing) from late March to mid-April, when the sakura (cherry blossoms) flourish. 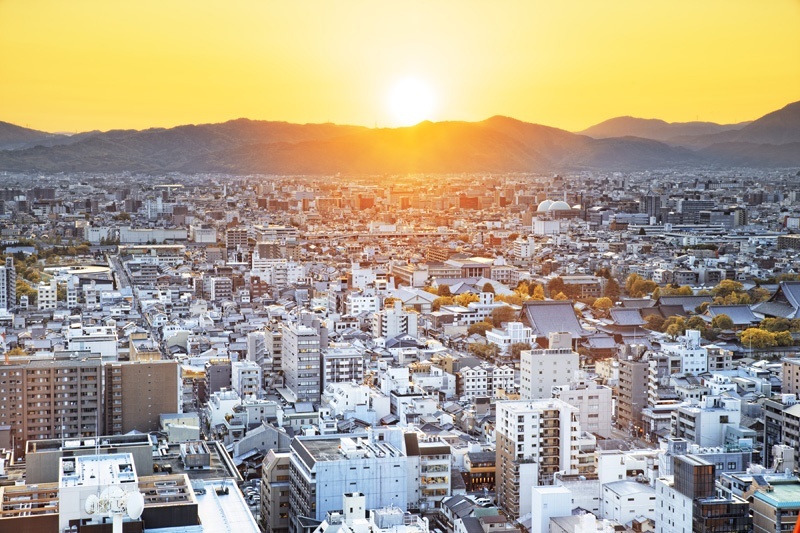 The second half of April brings wonderful weather, and things remain busy into the first week of May (Japan’s “Golden Week” holiday). One of Kyoto's biggest festivals, the Aoi Matsuri, happens on May 15th. If you're in town, don't miss the oxcarts, horses, cows, and Shinto devotees in 8th-century clothing in a procession from the Kyoto Gosho (Imperial Palace) to the Shimogamo and Kamigamo shrines. Tsuyu (rainy season) begins in June and usually ends in early July. Fortunately, rains don't last all day and strategic itineraries ensure that early summer Kyoto tours don’t miss a beat. Gion Matsuri, the biggest festival of the city (and one of the top three nationwide), is celebrated with a variety of events during July. The most spectacular is the Yamaboko Junkō on July 17, when merrymakers clad in yukata (cotton robes) glide through downtown on gigantic floats with mishoki (portable shrines to transport Shinto deities). Roads close for traffic three days prior to the parade, creating a lively street party and a chance to see the intricate yama and hoko floats up close. August is an exciting time to visit if you don't mind heat and humidity. The month begins with Obon, when Buddhists visit family sites to honor ancestors and perform light ceremonies. The grand finale is Daimon-ji, an impressive fire festival in which huge ideograms are theatrically set afire around the city and surrounding mountains. Early fall is the tail end of typhoon season so weather is hard to predict, but Kyoto tours in September can be lovely and less crowded. Festivals start up at the end of October, when the Jidai Matsuri (Festival of the Ages) parades across central Kyoto and the Kurama Fire Festival blazes through the mountain village just north of the city. As October ends, trees throughout Kyoto start turning into fairytale masterpieces. Kōyō (autumn foliage) is as enchanting as cherry blossoms, but the beauty is less fleeting and crowds are spread out. The brilliant hues last through November, leaving plenty of time to see the sights in all their fall splendor. December in Kyoto begins quietly, but the calmness quickly transforms. First, Christmas decorations appear, department stores have sales and western-style restaurants feature holiday dinner menus. Then, New Year’s Eve is commemorated with joya no kane (tolling of Buddhist temple bells at midnight) and hatsumōde (the first Shinto shrine visit of the year). Finally, families gather for osechi ryori (New Year's cuisine) on Shogatsu, the first day of January. 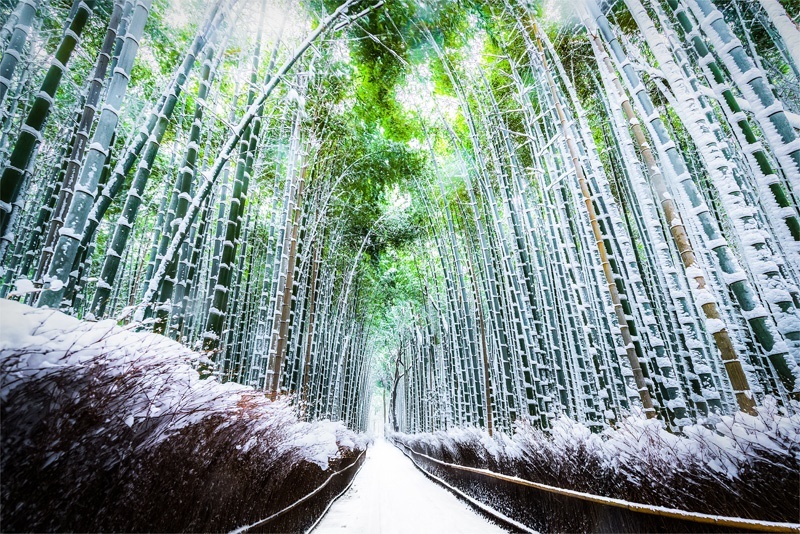 Mid-January is the beginning of Kyoto’s quiet winter season with occasional rain or light snow. Things enliven at bit in early February with Setsubun Matsuri, an exciting bonfire festival on Yoshida Hill. Then, by mid-March, spring comes around in full bloom once again. To conclude, there's no wrong time to visit Kyoto. 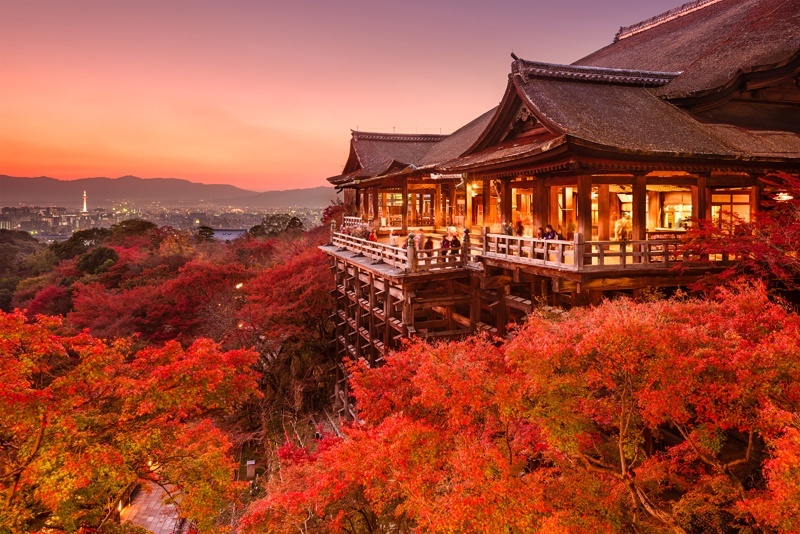 Any day is an ideal opportunity to marvel at Higashiyama's grand temples, Gion’s geisha district, Arashiyama's ethereal bamboo grove, or the breathtaking maze of shrines and torii (gates) at Fushimi Inari-Taisha. In light of the endless possibilities, seasonal festivities are purely icing on the cake for Kyoto tours!